I push the printscreen button on the keyboard. I go to a website called snaggy or snag.gy then I did the keyboard command Ctrl+V then I streamed the screenshot and click the diskette button or save. Then I embed it here. Thanks admin for the payment. I got it without hassle in my account. Thanks Fergal for the quick response. I got $15 in my PayPal account and it took less than 48 hours of making the request. In exchange of 500 ForumCoin, I got $5 via PayPal! 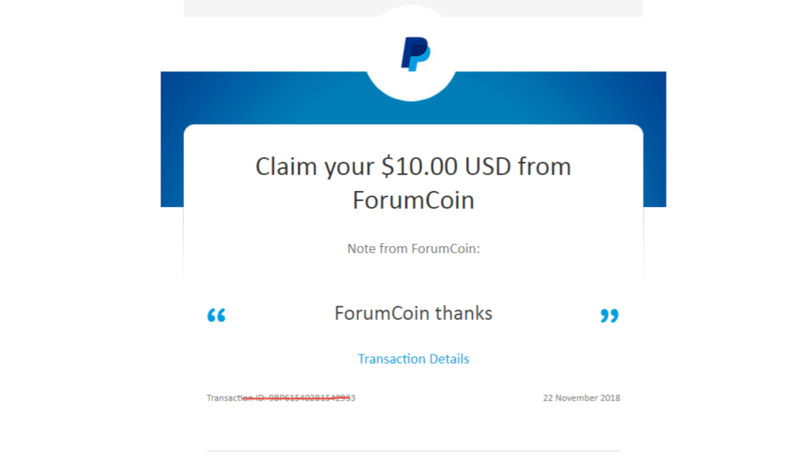 Today I received another payment from Forum Coin, $30 Thank you so much Fergal! Today I received another payment from Forum Coin, $30 :thumbup: Thank you so much Fergal! I have received 10 dollars worth of PayPal cash, thank you so much. I received the payment for the 1000 FC. Thank you, Fergal. I received a payment from you earlier today. Will give it a try the next time! Great feat Kat82- that is simply superb. Successful received another payment from forum coin. Thanks Fergal. Received USD15 via Paypal from Fergal, many thanks!